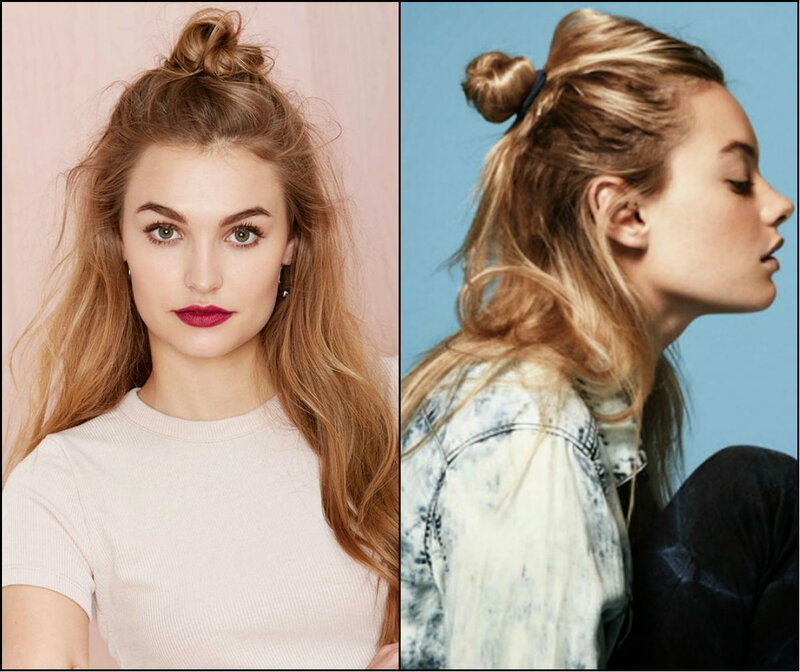 It is not occasionally that celebrity hairstyles are now full of the cutest half buns, some are elegant, but the majority are messy and casual, taking you to the heights of easy-going looks.here we go to see the best for summer half top knots. 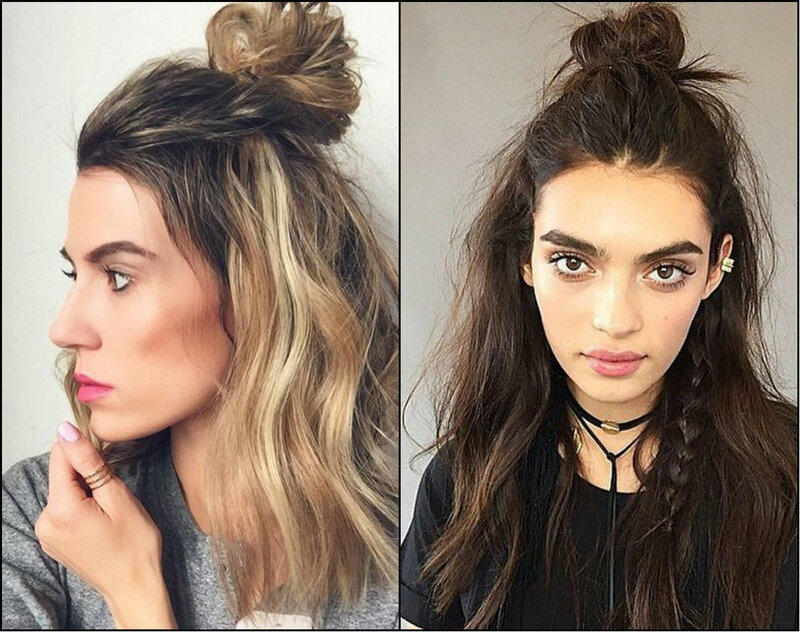 Half knots are the most convenient for daily looks. We usually get quite tired of log hair, taking care and styling may take away all our energy, and here we see the half knot. 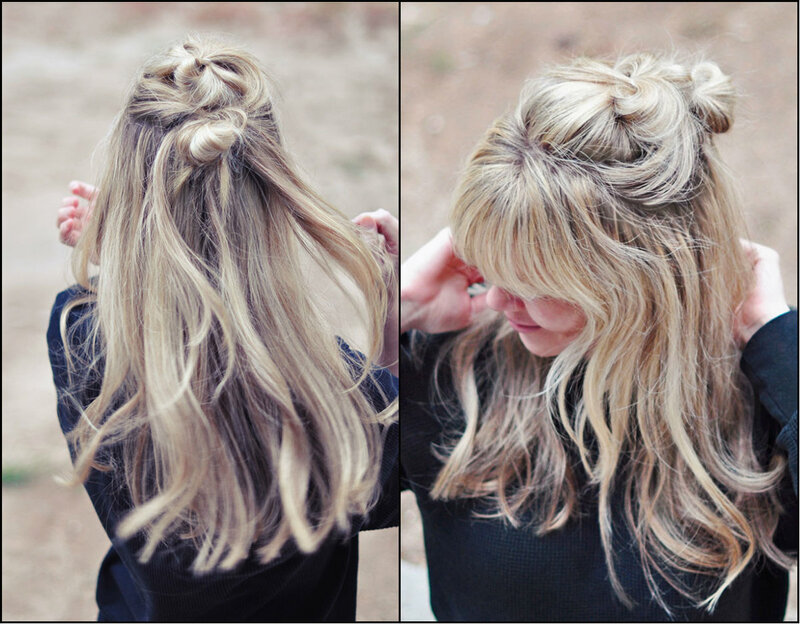 You just take the front crown part of the hair and fix in a messy knot. 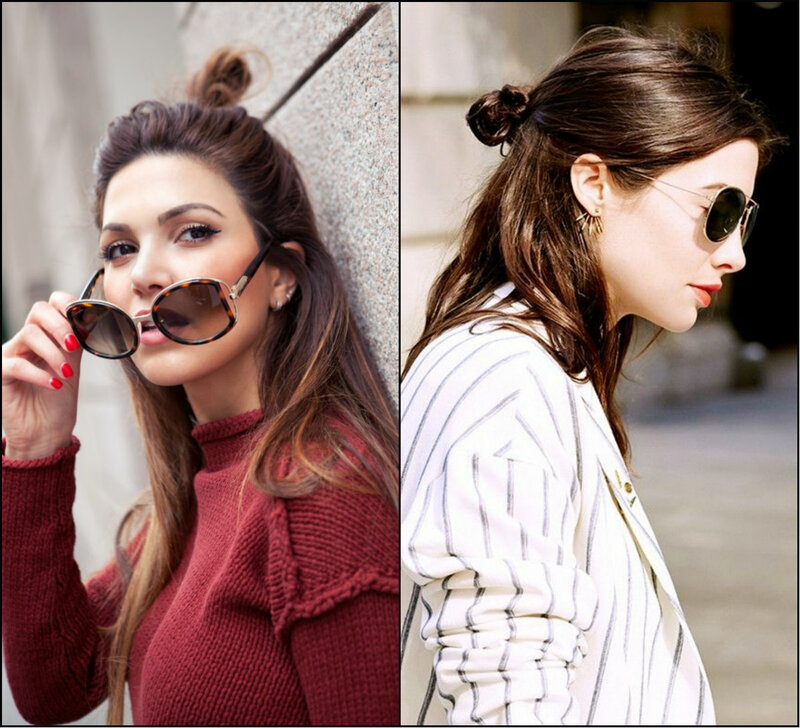 But if the traditional knot totally hides all hair, this one leaves half of the hair loose thus you can still boast your hair color, texture and length. 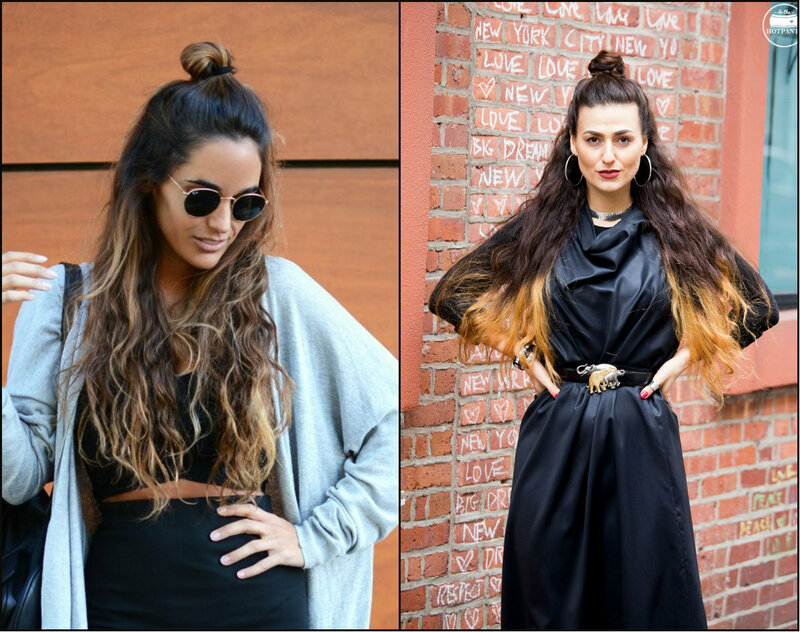 With half updo knot you can create the best street style images, worthy to go directly to runways. 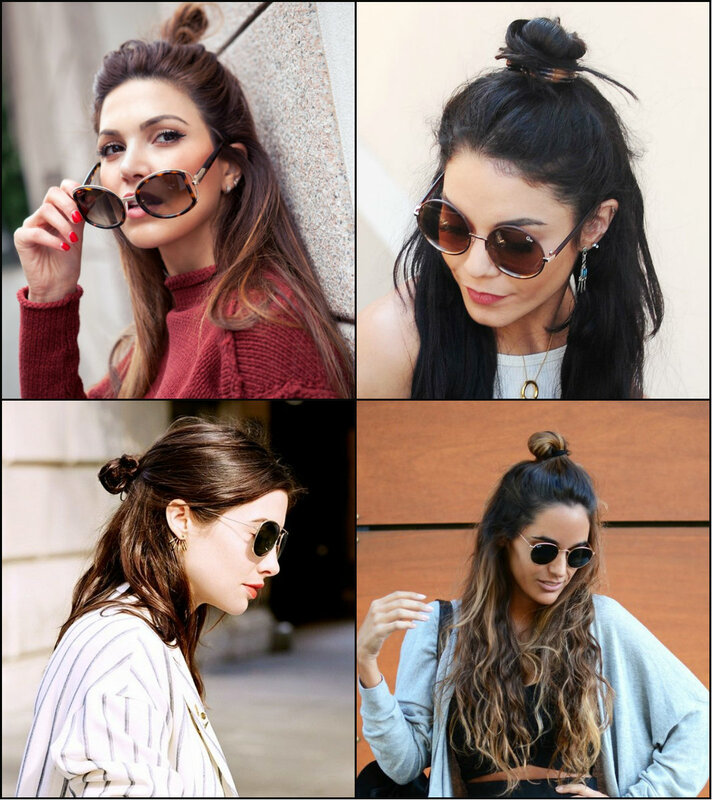 Really, looking at the pictures you will get convinced that half updos, sunglasses, stylish but casual outfit will convert you into a star this summer and fall. 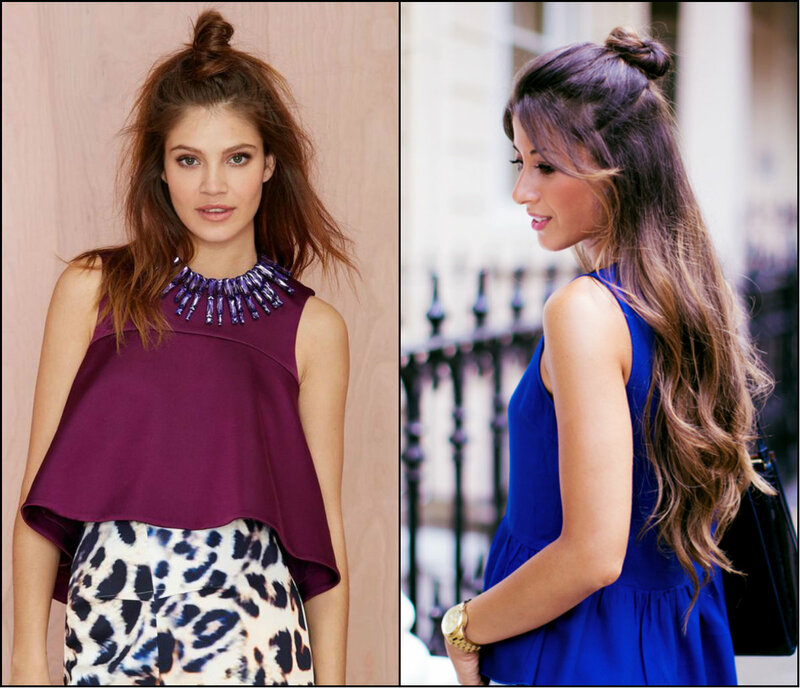 Easy hairstyles doesn't necessarily mean boring and too simple. 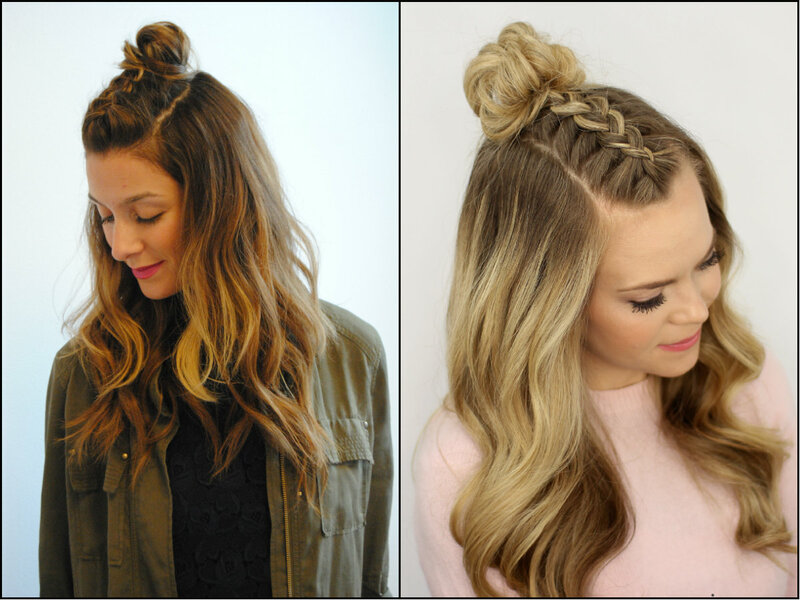 The front part from forehead directly to the top knot placement is the ideal space for a chic Dutch or French braids. 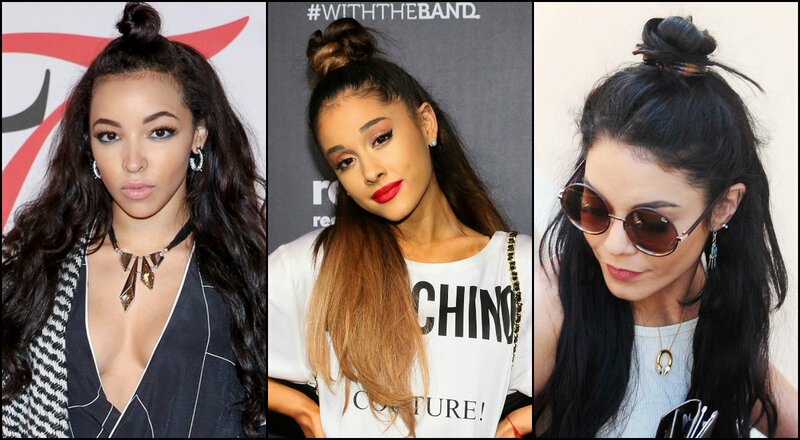 Half up half down top knots and buns are sported by many celebrities, who are full of energy and live life to the full, combining sports and with hangouts. 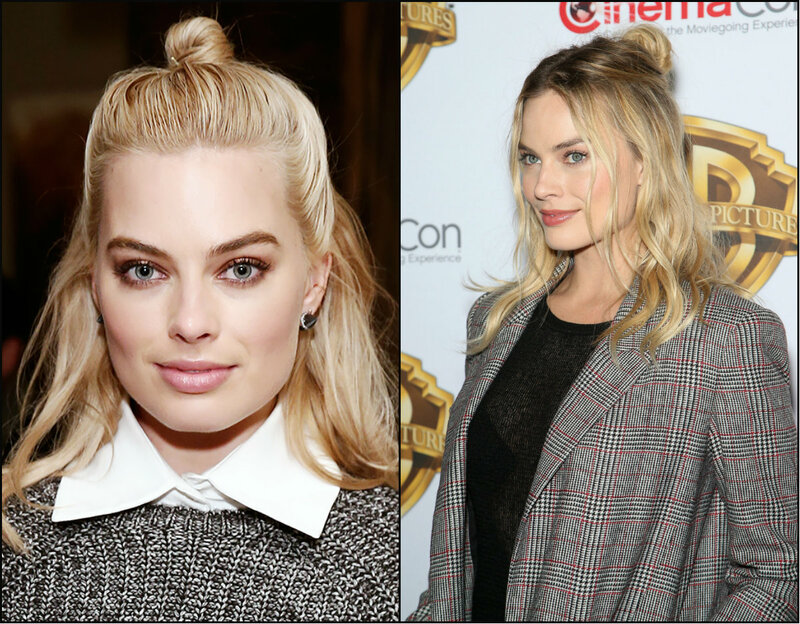 I say it because half updos can be good workout hairstyles, and also can be taken to a party at night, or even to the red carpet in case of some celebrities. 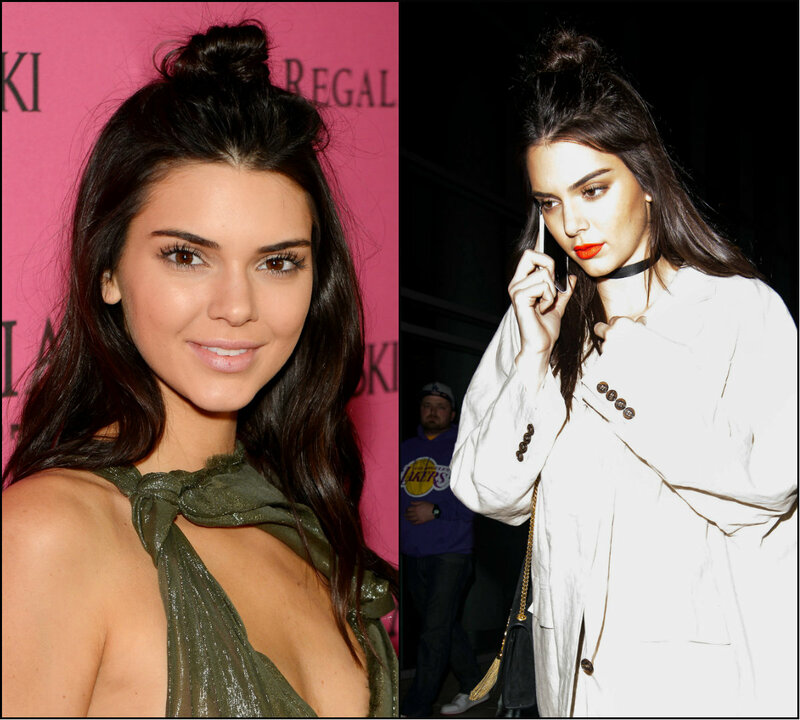 Kendall Jenner for example can easily fix hair in a messy half 'do and rock it at some important event.